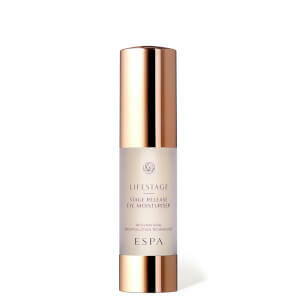 A concentrated firming serum to hydrate, lift and smooth. Vitamin-rich Gotu Kola and Larch help lift and firm while Irish Moss delivers rich nourishment deep down for soft, supple, comforted skin. Water (Aqua), Glycerin, Butylene Glycol, Caprylic/Capric Triglyceride, Hamamelis Virginiana (Witch Hazel) Bark/Leaf/Twig Extract, Phenoxyethanol, Sorbitol, Sodium PCA, Xanthan Gum, Galactoarabinan, Honey (Mel) Extract, Spiraea Ulmaria Root Extract, Centella Asiatica Extract, Lecithin, Caprylyl Glycol, Sodium Lactate, Ethylhexylglycerin, Ricinus Communis (Castor) Seed Oil, Sodium Hyaluronate, Benzoic Acid, Crithmum Maritimum Extract, Inulin Lauryl Carbamate, Codium Tomentosum Extract, Lavandula Angustifolia (Lavender) Oil, Citrus Aurantium Amara (Bitter Orange) Leaf/Twig Oil, Pelargonium Graveolens Oil, Dehydroacetic Acid, Pelvetia Canaliculata Extract, Retinyl Acetate, Linalool, Alaria Esculenta Extract, Alcohol, Arctostaphylos Uva-Ursi Leaf Extract, Citrus Grandis (Grapefruit) Fruit Extract, Glycyrrhiza Glabra (Licorice) Root Extract, Morus Bombycis Root Extract, Phytic Acid, Scutellaria Baicalensis Root Extract, Glucose, Tripleurospermum Maritimum Extract, Tocopherol, Citronellol, Anisaldehyde, Cedrol, Geraniol, Plankton Extract, Potassium Sorbate, Sodium Benzoate, Amyris Balsamifera Bark Oil, Cananga Odorata Flower Oil, Maltol, Olea Europaea (Olive) Flower Extract, Rosmarinus Officinalis (Rosemary) Leaf Extract, Sorbic Acid, Chondrus Crispus Extract, Cistus Ladaniferus Oil, Limonene, Citronellal, Curcuma Longa (Turmeric) Root Extract, Daucus Carota Sativa (Carrot) Seed Oil, Elettaria Cardamomum Seed Oil, Hexenyl Acetate, Ormenis Multicaulis Flower Oil, Thuja Occidentalis Leaf Oil, Sodium Hydroxide. 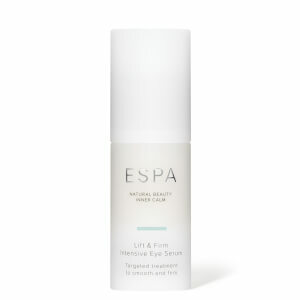 I am building up my Espa products and this one is just as beautiful as all the others I have bought. It goes lovely with the lift and firm moisturiser. The products are not cheap but they are so beautiful and it’s such a treat for the skin. This serum has really made a difference to my skin. I feel that my face is glowing. Would definitely recommend this for use with the Lift and Firm moisturiser. 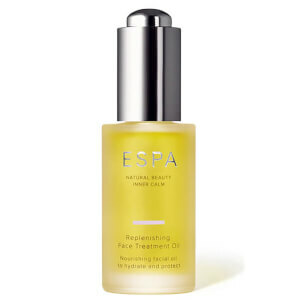 I have been using this for quite a few years as it keeps my skin hydrated and supple. Really love this product. Makes you feel and look good. Have been using this product for some time and love it. It is one step down from the Lifestage but more cost effective!!! Used for a long time. Quickly pats into skin. Good results.